You wouldn't think it from my writing output, but my first fandom wasn't science-fiction or fantasy. And the first publication I wrote for – a fanzine called Brainfood - had nothing to do with comic books. No, the first thing that drove me head-first into the deep-end of the geek pool was a little show called Mystery Science Theater 3000. A quick bit of background for those of you unfortunate enough to have not stumbled across this fine little program. 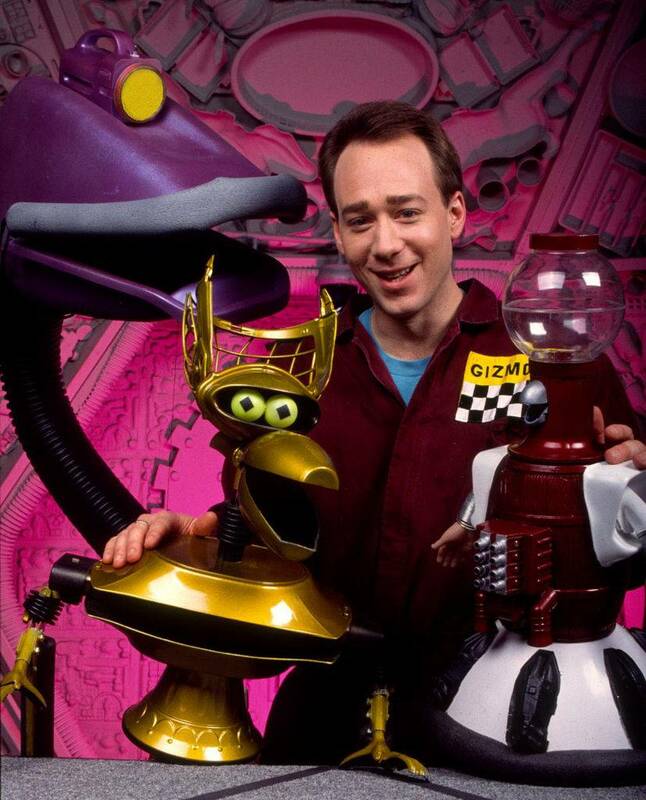 Mystery Science Theater 3000 (hereafter MST3K) was the brainchild of comedian/magician/spy Joel Hodgson. It started out on a local UHF station in the Twin Cities before running for ten years across three cable networks from 1989 to 1999. Set in “the not too distant future”, MST3K centered upon a janitor named Joel who was shot into space by mad scientists for the purpose of acting as a test subject for their twisted experiments. Their ultimate goal? Find a movie so bad that they could drive the populace of Earth insane by forcing them to watch it and then take over the world in the ensuing chaos. Funny stuff, but this plot was just dressing for the core of the show – Joel and two robot friends watching some of the worst movies ever made and making fun of them with the wit of The Algonquin Roundtable and the abandon of a theater full of teenagers. Packed full of sarcasm and referential humor, the show was a perfect stepping stone for a smartass lad like me who had cut his teeth on what few Mel Brooks and Monty Python movies his parents would let him watch. MST3K definitely had an influence on my sense of humor. But looking back, I think Joel Hodgson actually taught me a few things about life in between the riffs and wisecracks. 1. You can use comedy as a weapon. Every other comedy nerd out there probably just thought “Well, duh! Of course comedy is a weapon!” All the great comedians from Groucho Marx to George Carlin used comedy to attack the ills of society as they saw them. Heck, Mel Brooks once said “The only weapon I've got is comedy”. And that’s just modern comedy. I’m sure there are 17th century French satirists I've never heard of who wrote whole novels about the power of comedy as a weapon. And yet, with the possible exception of Eddie Valiant’s battle with a gang of cartoon weasels, I don’t think any piece of entertainment has made the idea of comedy as a weapon more literal than MST3K. Every Saturday morning Joel, Tom Servo and Crow faced their tormentors with the only weapon available to them – pure snark. And the idea that I could do the same thing helped make middle-school a bit more tolerable… even if most of my classmates didn't get my jokes. 2. Don’t worry about making yourself understood. The right people will understand you. Isolation is a problem for a lot of teens and a lot of us still haven’t fully left that awkward loner phase as adults. We felt alone because nobody understands us – not our parents, not our teachers and certainly not our classmates. Maybe you were a brain in a village of idiots. Maybe you were gay in a small Red State town. Maybe you were a dreamer who wanted to move beyond a town and see the wide world. In any case, the need for social bonding was there but you were unlikely to find it in the world of middle-school, which is built upon a foundation of superficiality and conformity. You were better off not wasting time trying to follow the crowd and just finding someone – anyone – who accepted you for you. Unlike the other lessons on this list, this wasn't something that was preached directly during the show. But in a documentary on the show – This is MST3K – Joel Hodgson said some words that came back to me as I was despairing over the fact that most of my classmates didn't get my sense of humor. That phrase clicked with me and made me realize the futility of trying to change myself for an audience that was never going to accept me anyway. From that moment on, I decided to please myself instead of my so-called peers. Eventually, I found my audience and my friends. But until that happened (after high school, not surprisingly) I was at least happy with myself. Empathy comes as naturally to the average teenager as flight does to a walrus. When I was a lad, I nursed a rather extensive persecution complex and was fairly certain that even if the whole world wasn't out to get me, a considerable chunk of my classmates were united in some grand conspiracy against me. Even after puberty, a lot of adults still have trouble grasping the idea that the people who annoy them probably aren't doing so out of malice. In Episode 302 – Gamera, Joel tries to drive this lesson home to Tom Servo and Crow, after they forge a make-shift voodoo doll in order to inflict pain on the movie’s child hero, Kenny. Is Kenny annoying? Absolutely! His voice is grating, he’s kind of a weirdo and he gets away with things that should get him grounded until he is 30 over the course of the movie. But as Joel points out, ignoring the fact that Kenny is a fictional character, none of that is his fault and he’s got kind of a messed-up home life that fuels some of his more obnoxious traits. Thinking on that, I started realizing things about my own tormentors. That one bully’s parents were in the middle of a divorce. That the guy who kept pushing me into the lockers was being beat up by his own dad. This didn't excuse their behavior but that knowledge probably did keep me from retaliating in kind or worse. 4. You don’t have to accept the ending they hand you. In Episode 509 - The Girl in Lover’s Lane, the robots are filled with rage by the film’s ending. The heroine – a kind, loving waitress named Carrie – is killed, the hero is blamed for the murder and the whole thing is incredibly bleak and depressing even after he is cleared of any wrong-doing. Carrie’s death was a fridging before the term was ever coined – a pointless death that did nothing to advance the plot and accomplished nothing save giving “Big Stupid” even more angst. Joel comforts the bots by pointing out that there’s nothing to stop them from writing a better ending to the movie and that you don’t have to accept the bad things people throw at you. The same concept applies to life. There are many people who will try and bully you into accepting things as being the way they say they are. That you're a loser and a failure and that nothing will ever be better. But you don’t have to accept it. You can fight for change, even if all that change is amounts to a fan-fiction that lifts your spirits. Episode 323 – The Castle of Fu Manchu was widely held to be the worst movie MST3K had tackled for a time. Certainly the episode’s host segments billed it as such, with all of the skits ending with one of The Bots having a nervous breakdown and Joel doing his best to try and comfort them before even he is reduced to tears. By the end of the movie, The Mads are drinking a champagne toast to their victory even as Joel, Crow and Servo wail and lament. "You haven't won, Dr. Forester. You've lost. And I feel sorry for you. You're nothing but a sad little man in a hole in the ground, who can only feel power by hurting others! Well, we've won! Because we've survived!" In recent years, the It Gets Better movement has done a lot to reassure LGBT youth that however bad things are for them in their formative years, things will get better once they become adults and that they just have to hold on a little longer. Similar movements for geek girls and awkward-looking people have also done a lot of good in preaching the message that I learned from MST3K during my awkward years – that survival itself is a victory condition. I got bullied a fair bit in middle school. And there were occasions when my jokes weren’t enough. When I felt all alone in the world. When I gave in to the hate. When I felt like there was nothing I could do. And on those occasions, I just remembered that this was all temporary. That eventually I’d be free of that place. I just had to last a little while longer and eventually I’d get to someplace better. Today, I get paid to write about the books and TV shows I once got made fun of for enjoying. I’ve gotten to meet some of my favorite creators and even befriended a few of them. I’m part of a Rocky Horror troupe and I get to make people laugh with my own wisecracks as I riff on the movie. And all of that is awesome and if you’d told my teenage self about all of that he wouldn't have believed it. And yet, the most awesome part of my life is my day job as a teen librarian. Not just because I’m getting paid to talk about books and comics and computers and all the things I like. But because I get to create a safe place for those awkward teens like me. A little Satellite of Love in the back corner of the building where – even if just for a little while – they know they aren't alone. I had the good fortune to meet Joel Hodgson once after a performance of his show, Riffing Myself. For those who haven’t seen the show, Joel explores his own past and discusses a lot of his influences - including all the kids show hosts he grew up watching. Until then I had never really thought about how MST3K was a more mature take on shows like Captain Kangaroo and Peppermint Place. And I wondered if Joel had ever thought about inspiring another generation of kids who liked magic and ventriloquism and other weird things to be better people in the same way that his idols did. Well, like it not Mr. Hodgson, you influenced at least one of us. And I thank you for it.